Metaluna Mutant! 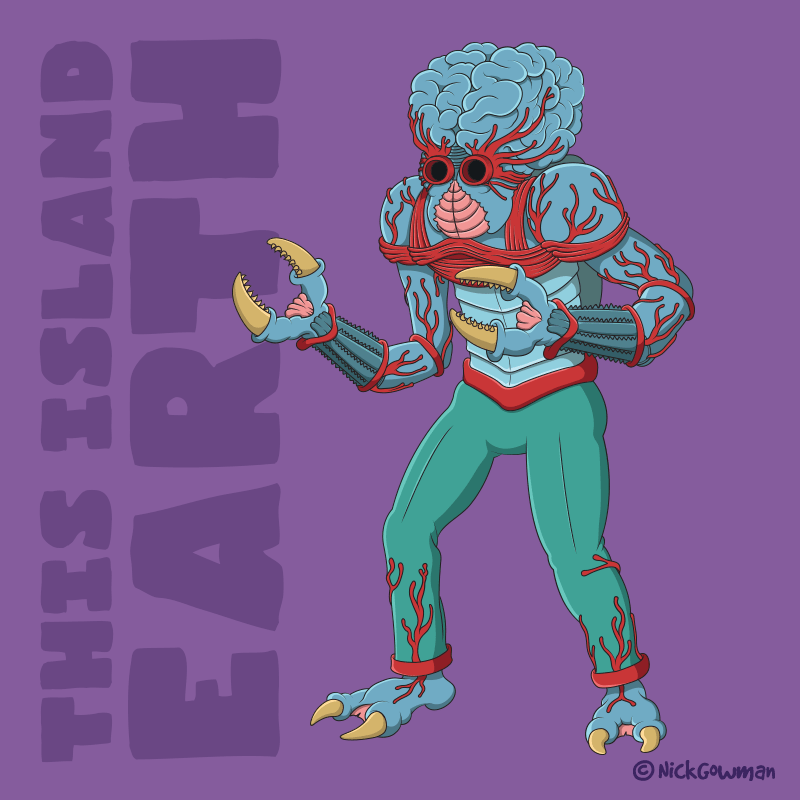 | Meet my take on a classic sci-fi monster doodle! You are here: Home / Aliens / Meet the Metaluna Mutant! Whilst being in the mood for creating cartoons of classic movie monsters, I remembered seeing one bug-eyed monster in particular from my youth. I remember this monster particularly well from watching the tail-end of an old black and white movie as a kid, with this strange mutant creature with clawed hands and an enormous, exposed brain. Of course, I had no idea what this creature was or the name of the movie. Luckily, my good friend Google managed to help me come up trumps and after a short search, I discovered this movie called ‘This Island Earth’. ‘This Island Earth‘ is a 1955 movie, directed by Joseph Newman, and the basic premise is a series of alien spaceships make contact with a scientist as part of their master plan to enslave all the people of Earth. The clear highlight of the film for me was this creature, known as the Metaluna Mutant. Ok, I guess by today’s standards he probably looks a bit dated and goofy, but I remember being captivated at the time at his enormous brain and elongated clawed arms. These mutants were originally bred by the Metalunians for general, boring labour work and are compared by the scientists in the movie to Earth’s insects, with their colony structure and hard external exoskeletons. I’ve created a few other cartoon monsters and they’re in my portfolio, along with an earlier monster blog post, so if you enjoyed this one, I’d go and check it out! 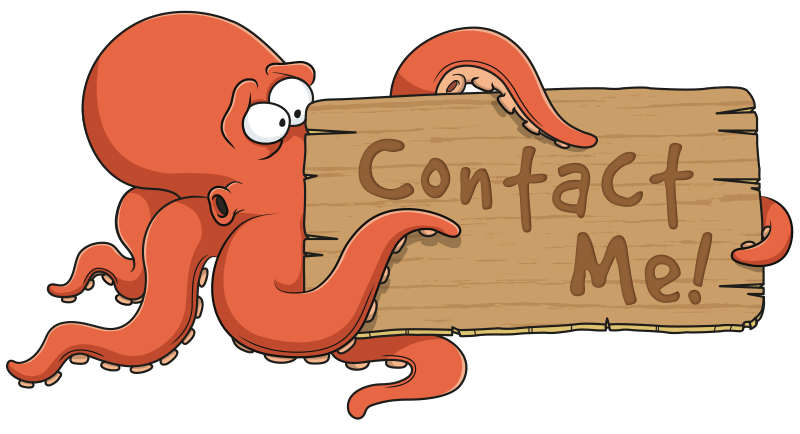 And if any of the monsters you’ve seen on my website interest you, be sure to get in touch – I’d love to create a monster for you! Cartoon crocodiles and more pirates!